Box Office: Amitabh Bachchan and Rishi Kapoor’s 102 Not Out opened on predictable lines as 3.52 crore came in on the first day of release. It was expected that the film would see an opening in the range of 3-4 crore and this is exactly what happened. The collections were meant to rise primarily in the evening and night shows after a lukewarm morning and afternoon. That was because the Umesh Shukla directed affair is primarily catering to the middle-age and a segment of family audiences, and that population steps in mainly towards the evening. The film’s opening is slightly better than Rani Mukherji’s Hichki which had netted 3.30 crore on its opening Friday. It is slightly better than Amitabh Bachchan’s own Shamitabh though which had collected 3.50 crore lower too, which means anything over 30 crore lifetime will allow it to sail through eventually. If the film manages to go past the 5 crore mark today, a decent lifetime is on the cards. Second release of the week, Omerta, has turned out to be a non-starter. Though there were apprehensions around whether the Hansal Mehta directed film would manage to touch even the 1 crore mark on the first day, there was still some sort of wishful thinking for that to happen so that it eventually manages to cover costs at the least. However, the numbers have turned out to be much lower as the footfalls just didn’t rise right through the day. As a matter of fact the release was pretty sparse as well with odd show timings not helping the cause either. 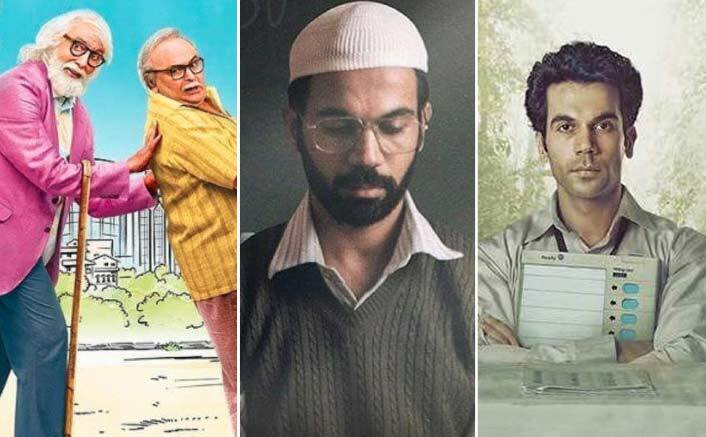 Rajkummar Rao’s Newton, which was in the same zone, had collected 0.96 crore on the first day whereas Shaadi Mein Zaroor Aana was even lower at 0.75 crore. Here, Omerta hasn’t managed to meet even this mark which pretty much tells the tale. Unless there is a miracle that takes place today and tomorrow, the film would seen be seen on digital medium that would definitely result in better viewership as well. The post Box Office: 102 Not Out Opens On The Same Lines As Shamitabh, Omerta Is Lesser Than Newton appeared first on Koimoi.